Brandon Alley can feel vibe immediately. It’s part of the job. As Professional DJ and Owner of Bunn DJ Company’s Western North Carolina business, Alley works from Hygge Charlotte to manage the business and get n’sync (yeah, I went there) quickly with not only the music, but also the mood and vibe a client wants for a specific event. As a teenager, Alley started to learn the craft through on-the-job experience – he would DJ birthday parties or host events, serving as MC. Then, as an undergrad at North Carolina State University, Alley continued to learn – and get gigs. At N.C. State, he DJed house parties, oftentimes without any professional gear or professional training – just with whatever speakers he could get his hands on and whatever he had already figured out about how to keep the party going. 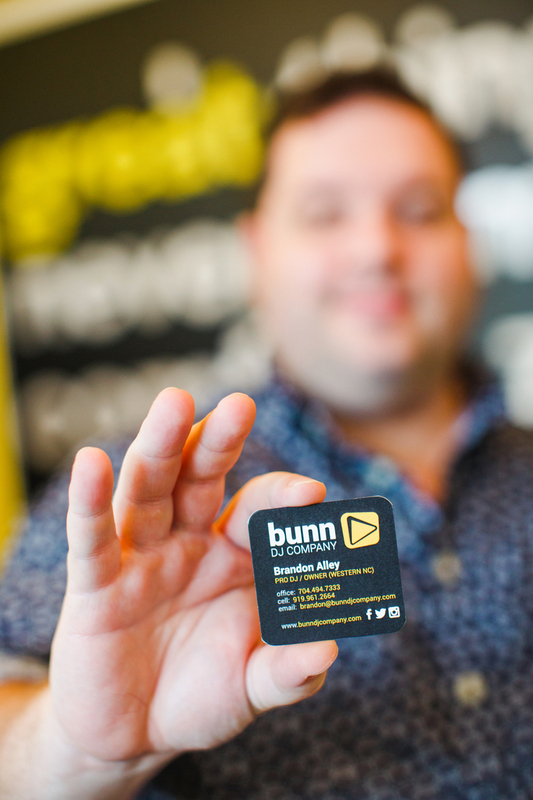 Larger events were different though; for those gigs, he turned to the local professionals – Bunn DJ Company. After graduating in 2008 with degrees in Textiles and Design (respectively), friends who knew of Alley’s DJ skills approached him with a personal ask – to DJ their weddings. Hesitant at first to take on such personal responsibilities like wedding reception vibes, Alley experienced an aha! moment – maybe DJing was a professional skill worth investing in. He enrolled in a six-week course at a local, DJ training school that covered not only the history of DJing, but also the logistics. He also invested in real equipment. Feeling more prepared, he approached Bunn DJ Company for an opportunity to shadow them at weekend events. They were ready to hire Alley. Alley eventually got to the point many of us know well – he wasn’t feeling as passionate for his full-time job as when he started. Bunn DJ had just opened a Charleston, SC office; and Alley had an idea. 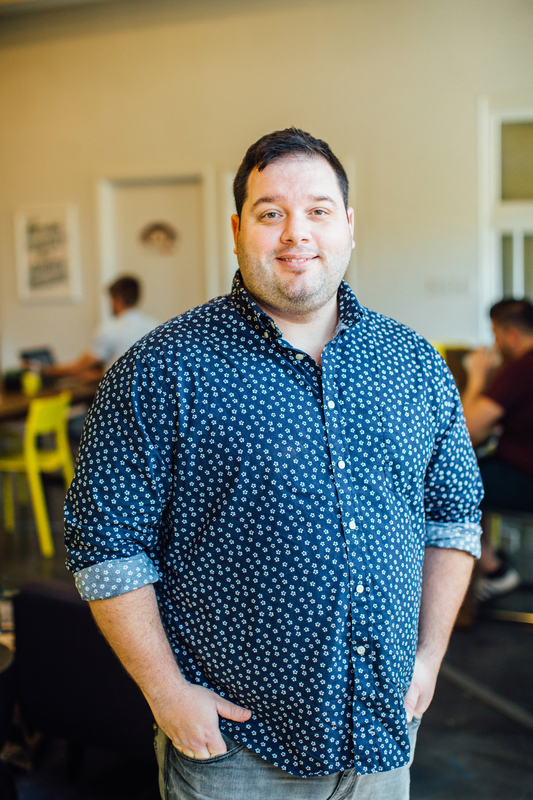 “The Charleston office was doing well, so I pitched the idea of opening an office in Charlotte,” he shared. Bunn DJ was interested in growing into the Western North Carolina market. Alley moved back to Charlotte to open and manage the office full-time. He relocated back to China Grove, NC, just 40 minutes east of Charlotte. It was his hometown. As fresh an opportunity as it was to manage the new business in a new city, Alley was working from home which he admitted was, forlackofabetterword, boring; as well, it was probably not the best fit for someone drawn to the vibe, pulse, and energy of other people. That was in January 2016; today, Alley is known as one of the ‘Hygge OGs’ – one of the first members to commit to the West Hill Street location just before its first expansion. 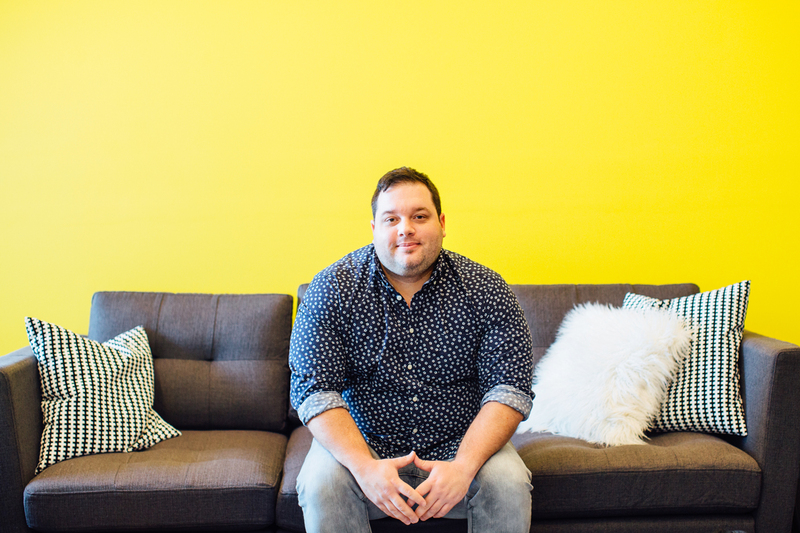 With his DJ equipment and gear stored at home, Alley uses Hygge not only as a place to get work done or answer emails, but also as a private, professional place to meet with those who are planning events. From never really considering DJ as a career choice to now full-time DJ, Alley seized an opportunity – and ran with it. And after all the weddings and events he’s worked over the years, it still means a lot to him. The experience has also made him uniquely attune to and aware of vibe – not only how you feel it, but also how you create it. As well, how people can and will relate to a vibe is different. How Alley describes Hygge’s vibe today? Friendly, modern, and relaxed. And his first experience in the space is a testament to that.